Rescue a child from abusive and extreme poverty situations to live at our Children's Home in Paraguay. Feed a child's mind, body, and soul at our Children's Care Centers in Paraguay or Argentina. Pack a meal to send to our Feeding Centers in Argentina or Peru. Teach a child English at our English Academy in Paraguay. Equip a widow/single mom with vocational training at our Women's Center of Hope in Paraguay. Partner with our long-term missionaries in Paraguay, Argentina or Peru. Build by donating construction funds for our Su Refugio Christian School in Argentina. 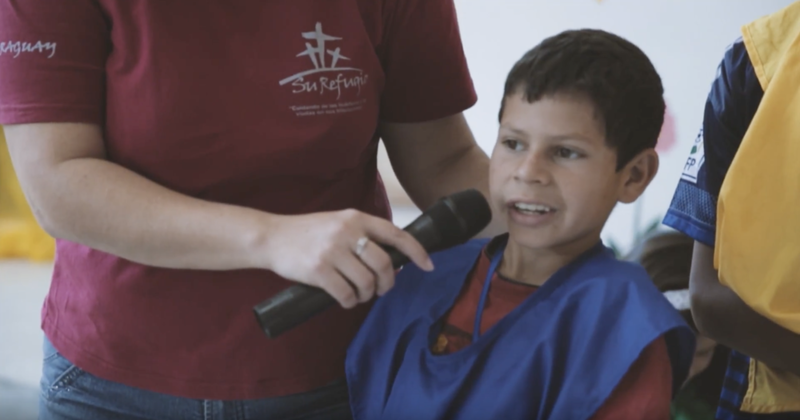 Send a short-term missionary to go on a Su Refugio Ministries mission trip to show the love of God and advance His Kingdom. Give a one-time donation for beds, clothing, school supplies and other needed provisions. Su Refugio Ministries is a 501c3 organization. All donations are tax-deductible to the full extent permitted by law. Receive our newsletter to discover how Su Refugio is caring for orphans and widows. We respect your privacy. Unsubscribe at any time. You will receive an email conformation. Here is a link to our 2016 end of year letter. Receive news, updates and how Su Refugio is caring for orphans and widows... Sign up today! There are a range of opportunities that can be conducted here in the United States that will make a difference in the lives of orphans. Click here to see where you fit in. Join us on an upcoming scheduled mission trip or form your own trip with your church or organization. Check out our upcoming mission trips to Argentina, Peru or Paraguay. Give two hours of your time and help pack 50,000 meals for the children of Argentina. Click here to know more how you can help.